See also our other pages on topics in American Jewish History: Jews and Civil Rights and Soviet Jewry. 100 Years of Hadassah — View significant moments in Hadassah history, including images of letters, books, and other key documents. A Portion of the People: Three Hundred Years of Southern Jewish Life — This site offers biographies of key individuals in the early history of Jews in southern states (late 1600s-1820), as well as Jewish communal life through the era of Reconstruction following the Civil War. A Sweatshop Romance by Abraham Cahan — This is an excerpt from one of Abraham Cahan’s best known books, The Imported Bridegroom and Other Stories. This illustrates working life for E. European Jewish immigrants at the turn of the 20th c.
American Jewish Yearbook (1899-2008) — Browse editions of the American Jewish Yearbook from 1899 to 2008. Volumes contain important demographic information about the American Jewish community in each year of publication. Encyclopedia of Southern Jewish Communities — at the Institute for Southern Jewish Life (ISJL). Click on the map to choose a state, then choose the city, and an article will appear with the history of Jews in that place. The ISJL also publishes a curriculum for religious schools in Southern states. Gershwind-Bennett Isaac Leeser Digital Repository — At the University of Pennsylvania Library, the letters, books, pamphlets and correspondence of Isaac Leeser, hazan at Congregation Mikveh Israel in Philadelphia. Leeser was also the editor of the Occident, the first American Jewish monthly magazine, which is digitized at this site. From Haven to Home: 350 Years of Jewish Life in America — This is a digital version of the Library of Congress’ exhibition on the 350th anniversary of Jews in America. The exhibition is divided by time periods from 1654 to 2004, and it includes important documents such as Moses Seixas’ letter to George Washington (1790) and Washington’s reply. Jewish-American History Foundation — Rich collection of Civil War era documents representing Jews with both Union and Confederate allegiences. This site also offers digital copies of Isaac Leeser’s journal The Occident from 1843 to 1853. 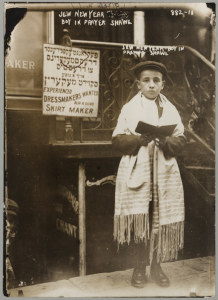 Jewish Communal Archive Project, Milstein Family (YIVO) — Website documenting Jewish communal life in New York, especially in the early 20th c. Offers photos, a 17-min. video, and articles about each of the partner organizations (UJA Federation, 92nd Street Y, the Educational Alliance and more). Jewish English: Distinctive Lexicon — Interesting chart of Yiddish words with definitions and examples of their use. Jewish Washington: Scrapbook of an American Community — Digital exhibition about the history, community and political life of Jews in the greater Washington, D.C. area. Jewish Women’s Archive — The digital library of documents, photographs, biographies, and lesson plans on Jewish women’s history. Site includes access to the complete Jewish Women: A Comprehensive Historical Encyclopedia, and the magazine The American Jewess, published between 1895 and 1899. Jews in America: Our Story — Collection of photographs, documents and other artifacts from the five partner organizations at the Center for Jewish History in NY. Each time period includes a brief overview as well as a video introduction. Library of Congress Hebraic Collection: In the New World — Artifacts include the first American Hebrew Bible, the first American Yiddish cookbook, and other Hebraica items from the Library of Congress’ collection. American Jewish Population Project — This 2015 study offers analysis and state-by-state population figures. See also the Berman Jewish Data Bank for the results of the National Jewish Population studies, 1971-2001. 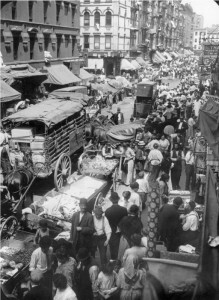 On the Lower East Side: Observations of Life in Lower Manhattan at the Turn of the Century — Provides links to many early 20th c. sources, including the writings of Abraham Cahan and Jacob Riis, as well as coverage of critical issues of the day (child labor, tenement life, the poor). The People vs. Leo Frank (PBS) — Website of the 2009 documentary on Leo Frank. The site includes a link to the teachers’ guide, available from the Anti-Defamation League. Preserving American Freedom: The Evolution of American Liberties in Fifty Documents— project of the Historical Society of Pennsylvania. On this page view the Petition of the New Amsterdam Jewish community to the Dutch W. India Company for permission to reside in what would become New York in 1655. Remembering the Triangle Factory Fire 100 Years Later (1911-2011) — This website at Cornell University provides a comprehensive history of the Triangle Shirtwaste Factory fire, including interviews with survivors, newspaper coverage, and a guide for students on using primary sources. Speeches on the Jew Bill — Digitized original 1829 text of the Maryland House of Delegates debate leading to revocation of religious tests for public office. To Bigotry No Sanction: George Washington and Religious Freedom — Interactive exhibit at the National Museum of American Jewish History. This exhibit allows the viewer to explore the letter to newly inaugurated Pres. George Washington from the Jewish congregation in Newport, RI, as well as his reply. Key phrases in the original, handwritten letters are highlighted and explained. 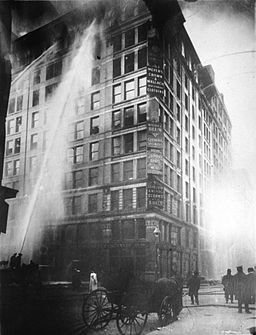 Topics in Chronicling America: Triangle Shirtwaist Factory Fire (Library of Congress) — Page at the Library of Congress with links to newspaper coverage of the fire. American Jewish Committee Archives — Offers many digital features including: cartoons from the 1950s to promote equality in America; full timeline of historical events from the early 1900s to today; and, interviews with personalities as diverse as Golda Meir and Hank Greenberg. 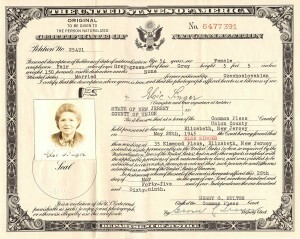 American Jewish Historical Society — View the Loeb Database of Early American Jewish Portraits; the Archive of the American Soviet Jewry Movement; digitized exhibitions including “Pages from a Performing Life: The Scrapbooks of Molly Picon” and “Chapters in American Jewish History” (short articles on historical events, suitable for high school readers). Center for Jewish History — comprised of the American Jewish Historical Society, the American Sephardi Federation, the Leo Baeck Institute, Yeshiva University Museum, and the YIVO Institute for Jewish Research. Search the unified catalog for photos, letters and other documents, browse family history databases, and more. Jewish American Heritage Month — This is the government’s site for the celebration of American Jewish history, culture, and the contributions of Jews to American life, celebrated each May. Museum of the Southern Jewish Experience — This is a portal to the Encyclopedia of Southern Jewish Communities, Southern Jewish Voices (oral history collection), and a curriculum for religious schools on Southern Jewish life. National Museum of American Jewish History — Website of the Philadelphia museum, includes teacher lesson plans (grades 4-12), the Only in America hall of fame, and a calendar of workshops and programs. National Museum of American Jewish Military History — Website of the Washington, DC museum, includes videos, highlights from the collection, and other resources for learning about the role of Jews in the American military. Dartmouth Jewish Sound Archive — Repository of Jewish music from America, Israel and beyond. You must create an account in order to listen to tracks. Half a Day on Sunday: Jewish-Owned Mom and Pop Grocery Stores — Digital exhibition from the Jewish Historical Society of Greater Washington. Explore through video, essays and database. Jewish Time Jump New York — A game for the iPhone or Android that gives the player mysteries to solve from New York Jewish history using newspaper clippings and other sources. Jewish Voices in the New World: The Song of Prayer in Colonial and 19th Century America — Exhibition at the Milken Archive of Jewish Music, this is a survey of Jewish music from the Amsterdam Sephardi tradition used during Colonial times through World War I.
Jews and Blues — Public radio program website, with historical overview and audio links to the archived program. Only in America: 350 Years of the American Jewish Experience — Six radio programs on the American Jewish experience including interviews with Ruth Bader Ginsburg, Elie Wiesel and more. The Tenement Museum — Website of the Lower East Side museum includes a virtual tour of the six apartments (click Play) and lesson plans (click Education). The Trial of Henry Ford — Trailer for forthcoming film on Aaron Sapira’s lawsuit of Henry Ford and Ford’s subsequent apology to American Jews. Abraham Foxman says, “Look what one man can do if he had the courage, the guts and the passion to stand up against bigotry.” See the website for more information: http://www.trialofhenryford.com/. Triangle Fire — American Experience film about the 1911 disaster. The Yiddish Radio Project — Online archive of radio programs (in English and Yiddish), commercials (English and Yiddish) and music. When General Grant Expelled the Jews — Professor Jonathan Sarna narrates the story of the infamous General Order #11. 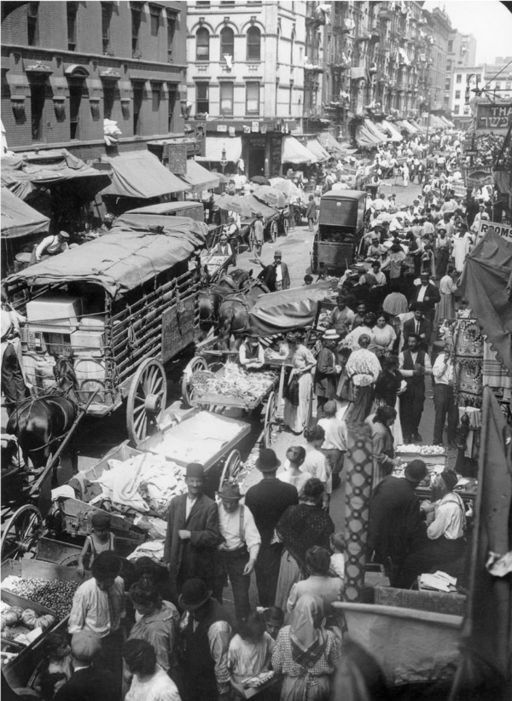 The American Jewish Experience through the Nineteenth Century: Immigration and Acculturation — From the National Humanities Center, article by Profs. Jonathan Sarna and Jonathan Golden on key teaching points about American Jewish history. Archive of the American Soviet Jewry Movement (American Jewish Historical Society) — Main page provides overview essay; see also exhibit of posters, photographs, timeline and oral histories. Celebrating 350 Years of American Jewish Life The American Jewish Committee, 2003. Essays by Jonathan Sarna, Paula Hyman, Robert Rifkind, along with a very thorough timeline of American Jewish history. Give Bigotry No Sanction: The George Washington Letter Project — A project of Facing History and Ourselves, this site includes the e-book of lesson plans Religious Freedom and Democracy and other teacher resources. The History of Jews in America — Complete lesson plans from the Institute for Curricular Services: National Resource Center for Accurate Jewish Content in Schools, a project of the Jewish Community Relations Council of the San Francisco Bay Area. 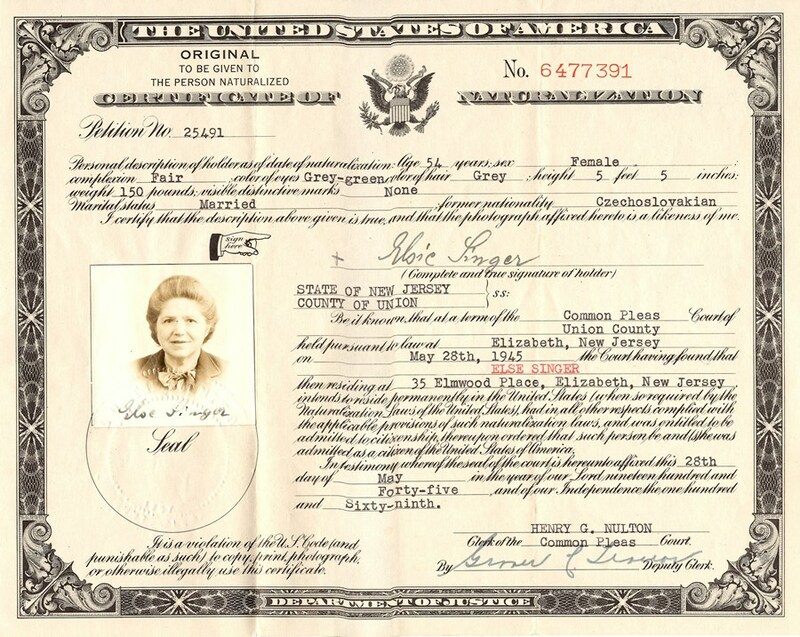 Immigration and Generations: Anzia Yezierska’s Children of Loneliness (Jewish Women’s Archive) — Lesson Plans using Yezierska’s short story to illustrate the challenges facing immigrants at the turn of the 20th c.
Jews and the Civil Rights and Labor Movements — Complete lesson plans from theJewish Women’s Archive. Links Related to American Jewish History (Dinur Center for Research in Jewish History) — This site at Hebrew University in Jerusalem offers links to museums, book reviews, historical societies and bibliographies. Making Our Wilderness Bloom: Women Who Made American Jewish History (Jewish Women’s Archive). Sample lessons and curriculum available for purchase. Moving Beyond Haym Solomon: The Teaching of American Jewish History to 20th Century Jews, by Steven Bayme, Jonathan Sarna, Deborah Dash Moore, Sondra Leiman, Regina Stein. The American Jewish Committee and Temple University, 1995. While this publication is nearly 20 years old, the rationale and suggestions for incorporating American Jewish history into the American Jewish classroom are as fresh today as they were then. “Sources for studying Jewish families lie with the students themselves. They are all part of Jewish families, hence a good starting point is with their own families. Family photographs can be used very effectively here, not only recent ones, but older ones that show different generations. It is also possible to use some ships manifests, which will indicate family relations, as well as census forms that can show family settlement patterns and the presence of boarders or relatives living in the same house. Oral history, asking parents and grandparents about their families, can give students an understanding of what Jewish families were like and how they have changed. Cookbooks, letters, diaries, household objects, clothing, all offer students ways of seeing what made families Jewish. Older students may be ready to read some of the communal materials on families and to compare their prescriptions with what they have actually uncovered. Representations of Jewish families could also be discussed among older students, ranging from popular TV shows to movies to children’s books to serious fiction” (pp. 8-9). This Day of Jewish American Heritage (Jewish Women’s Archive) — Facts about the contributions of American Jewish women arranged chronologically. This Month in American Jewish History — From the 350th anniversary of American Jewry, facts about contributions of Jews to American life, arranged chronologically. 2012 marked the sesquesentennial of the beginning of the Civil War in America. This is a great opportunity to teach students about American Jewish life in the middle of the 19th c., and the role of Jews in the Civil War. New online, Jewish Life in Mr. Lincoln’s City from the Jewish Historical Society of Greater Washington. This exhibition offers documents, narratives, images, and essays about the Jewish experience during the Civil War through the eyes of the Jews living in Washington, DC. Of particular interest will be the essay “Lincoln and the Jews” by Harold Holzer, co-chair of of the Abraham Lincoln Bicentennial Foundation. Produced in 2011, Jewish Soldiers in Blue and Gray tells the story of families caught between North and South in vivid detail. The DVD is available from the National Center for Jewish Film. Check out the rich collection of primary sources on Jews in the Civil War at theJewish-American History Foundation, including: winning appeals to have a Jewish chaplain in the armed forces; accounts of Passover during the war; debates over slavery; and, much more. 100 Greatest Jewish Films — Tablet Magazine’s 2011 review of Jewish films. The American Jewish Experience Through the Lens of Cinema: Film History as Haggadah, by Eric A. Goldman, The American Jewish Committee, 2008. The Jewish Film Archive Online — lists Jewish films by year or by theme. Clicking on a year brings up a list of films, then a summary of the film plot and production information. The Modern Jewish Experience in World Cinema — review of Lawrence Baron’s book, a collection of essays which addresses the question of what makes a film Jewish, what is Modern Jewish history, and how film portrays Jews in a modern context. The book provides a survey of Jewish film, and would make a good textbook for an introductory class. Available through H-Net. The National Center for Jewish Film — housed at Brandeis University and dedicated to the preservation of endangered film of Jewish interest, the NCJF makes films and videos available for rentals and purchases. The Steven Spielberg Jewish Film Archive Virtual Cinema — housed at the Hebrew University of Jerusalem, the archive offers streaming video of some of its holdings of over 10,000 films and videos. These include images of pre-State Israel, European Jewish communities before, during and after the Holocaust, and Diaspora Jewish communities. Check out reviews of two books published in 2013 on Hollywood’s relationship with Nazi Germany in our Book Review section. Making Sense of Films is a study unit at History Matters (George Mason University). It encourages teachers and students to explore the historic significance of movies, as well as provides tools for film analysis. 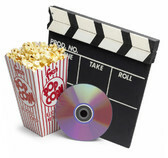 Reel American History (Lehigh University) offers teacher and student guides to viewing and using films in the classroom, including tools such as filmographies and scene logs. The Jewish Women’s Archive offers 24 lessons on Jews in the Civil Rights and Labor Movements, as part of their Living Legacy Jewish Social Justice Education Project. 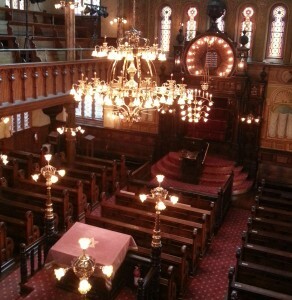 The Gomez House, located in New York state, is the oldest Jewish residential dwelling in North America. In 2014 it will celebrate its tricentennial. View the history of the Gomez family to learn about their right to own property in the British colonies in America, “a matter of great importance as the Jews were far from being on the same footing with the people of the Christian faith” (Isaac Gomez).